2 years on and look at that beauty, still perfect. I use my Real Techniques buffing brush every day for literally everything base related. I blend concealer, apply liquid and powder foundations, blend out blusher and apply setting powder. Most days it is the only brush I use, I like a simple life. Who has time for eyeshadow, I mean really. Even after all this time with countless washes under a tap I've not had any unsightly shedding, the synthetic bristles are still as soft as a kitten and it looks as good as new. funny how everyone considers this 1 to be the best in applying foundation..don't get me wrong it is a fab brush but to me it can't beat the expert face brush..
I,along with countless women, feel the exact same way. 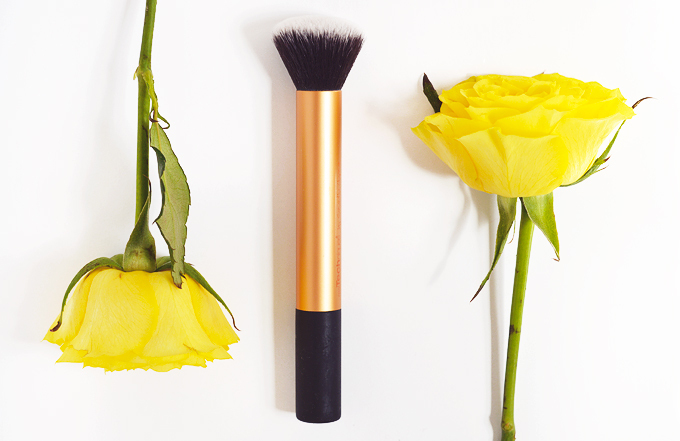 No other brush better at applying foundations flawlessly. I've compared my relationship with the Buffing Brush to Chuck and Blair's relationship in the past. It's literally meant to be, so why damn fight it? ;) It's going to be a losing battle.